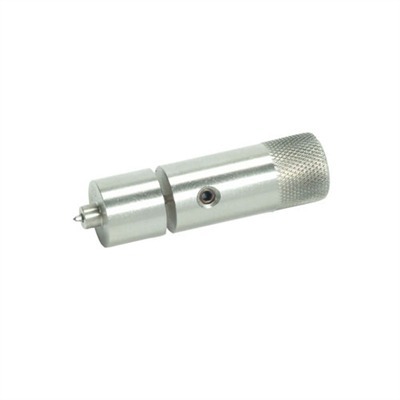 This tool is designed to ream small flash holes (.060) to exactly .0625 inch. The handloader addresses two issues when using this tool; 1) It enlarges the holes just enough for the die maker's decapping pins to go through without getting stuck, and 2) Each case will have exactly the same size flash hole insuring uniform ignition. This three piece tool has a stainless steel handle which is knurled for easy turning and a straight fluted .0625 inch reamer. Designed for Lapua PPC, BR, and 6.5x47 Lapua cases with .060 inch flash holes only.